Published: Aug. 10, 2011 at 05:16 p.m. The physical advantage some teams have over opponents could be nullified with new NFL practice restrictions. The recently signed collective bargaining agreement means more than labor peace for the next 10 years. The NFL game is undergoing a subtle makeover because of the new CBA that will not only change the quality of play in the preseason, but also impact the way the regular-season game is played. » Gone are the grueling two-a-day practices that have long been a staple of training camps. In their place, teams are able to conduct one full-contact padded practice per day accompanied by a walkthrough period. » The league has also placed limits on the number of full-contact padded practices during the regular season. Teams are permitted a total of 14 for the year with 11 of those practices conducted during the first 11 weeks of the season (a maximum of one per week). For teams like the Steelers, Ravens and Jets, these changes threaten to change their identities as teams built on physicality and aggressiveness. The loss of full-contact practices could rob them of the edginess that allows them to bully opponents. Coaches are having difficulty melding their long-held philosophies with the league's new approach. Proponents of hard-hitting football cultivated by rugged practices are upset with the mandated scaled-back approach. They assert the lack of contact will leave their squads unprepared for the intensity and physicality of the game. 1. Tackling could suffer. Defensive coaches are worried about the prospect of shoddy tackling without full-speed contact drills on a consistent basis. Although defenders have spent years crafting their skills, the frenetic pace of the game requires players to work on proper angles and tackling fundamentals regularly. Granted, some defenses have been able to flourish without banging daily, but it's hard to replicate the tempo, aggressiveness and angle discipline needed without contact. 2. Running game will feel a pinch. From an offensive standpoint, the lack of hitting could hurt run-heavy attacks without the benefit of intense nine-on-seven drills that focus on execution. To be successful on the ground, offenses must own the line of scrimmage and generate consistent push. This requires the offensive line to move defenders off the ball. While elements can be simulated without pads, the best rushing attacks sharpen timing and execution by pummeling scout team defenders in a series of brutal team sessions. 3. The reduction of full-contact practices will also impact the passing game. 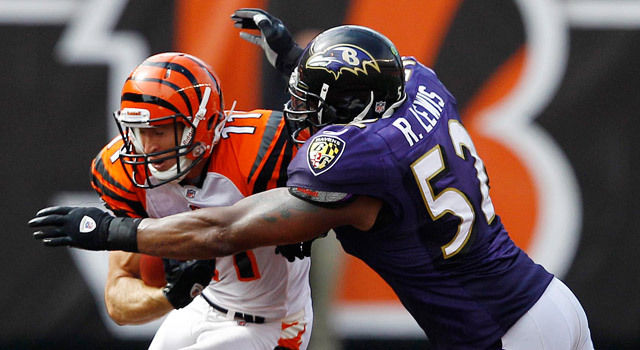 Teams will find it challenging to refine pass protection under the current circumstances. Offenses will have limited opportunities to work against pressures in live contact blitz periods. This will lead to more miscues and blown assignments in protection, which could result in quarterbacks taking a pounding. With blockers unable to learn how to handle the speed, strength and power of attacking defenders through repetition, building up the necessary toughness to win physical confrontations could become an issue. That fortitude is only developed in pads. The league has modified the practice rules to provide a safer environment for players, but the changes are certain to have a significant impact on the game. How well coaches adjust will ultimately determine which teams emerge as contenders this season.